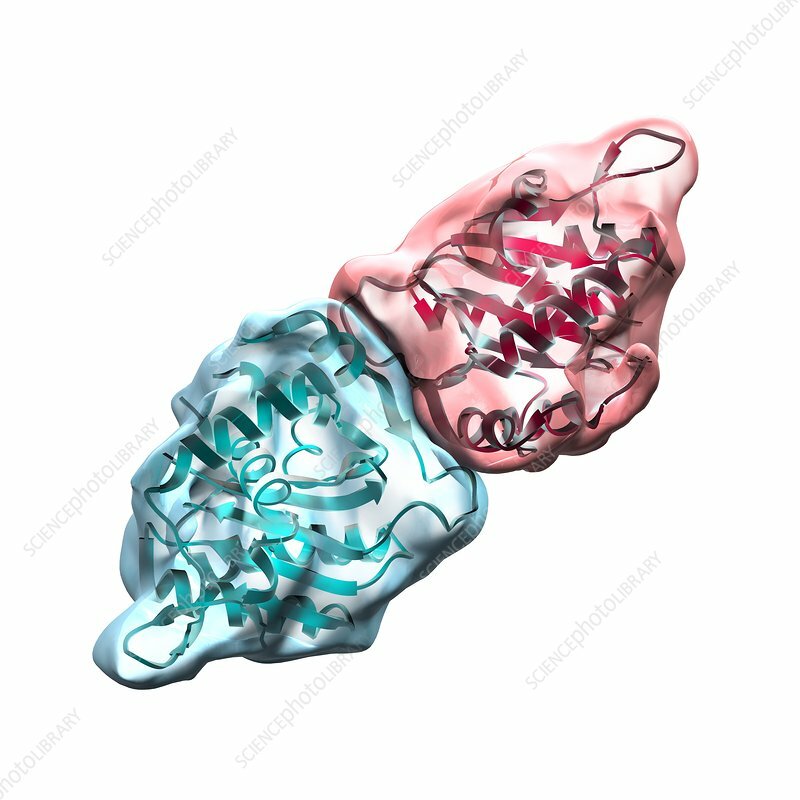 Human cytomegalovirus (HCMV) terminase protein complex, computer artwork. HCMV particles (virions) are made of an outer protein coat (capsid) encasing DNA (deoxyribonucleic acid), the genetic material of the virus. The terminase protein complex packages the genetic material of the virus into the capsid. HCMV infections tend to go unnoticed unless the patient has a weakened immune system or is a newborn.